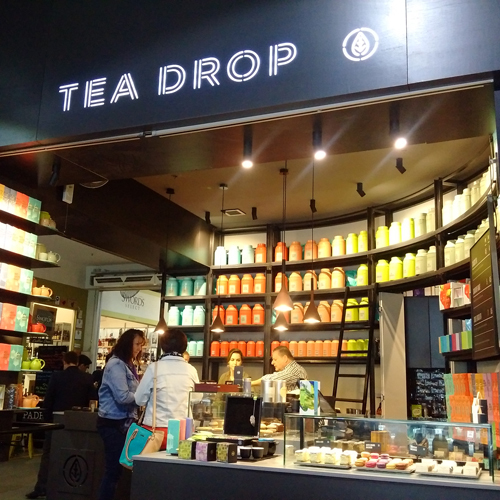 Drinking tea in Melbourne, Australia’s coffee capital, is actually not as difficult as you’d expect and in many ways it is less tethered to Asian style teahouses and more inventive with its venues than Sydney. Here is Teashirts’ (by no means definitive) guide to Melbourne venues that serve quality leaf. Please note this section covers venues that are primarily designed for sitting down to enjoy tea, not tea retailers. One hit was all it took for Ayden Graham to get hooked on the earthy complexity of pu’er and ever since he has returned to this fermented Yunnan tea, pressing his own cakes and storing them carefully in the hope of a beautiful vintage some day. Come in and sit down – the first hit is free. 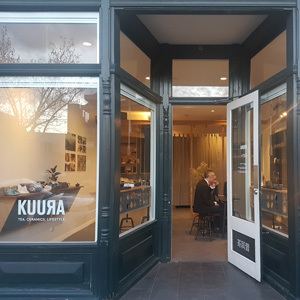 While Kuura specialises in raw and ripe pu’er, there’s also a limited selection of white, green and oolong teas and signature teaware for sale. It’s a stall but there’s a table in the centre that doubles as a place to perch and sip some tea if you want to try something or if you’re there for the weekly tea gathering. There’s a wide range here, from specialty single origin leaf tea to fancy blends and herbals – something to suit every tea lover. 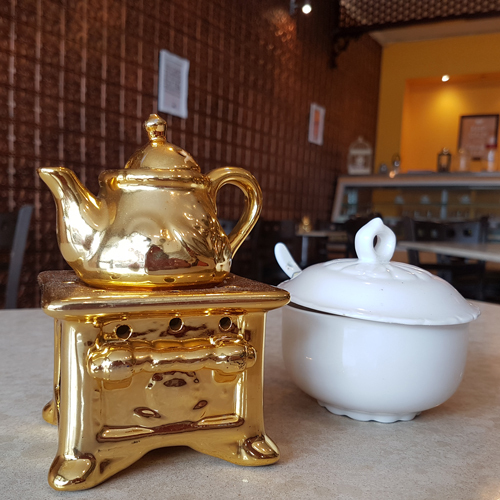 Situated in an area with a significant Vietnamese population, Milan Tea House offers a respite from the bustling town centre. 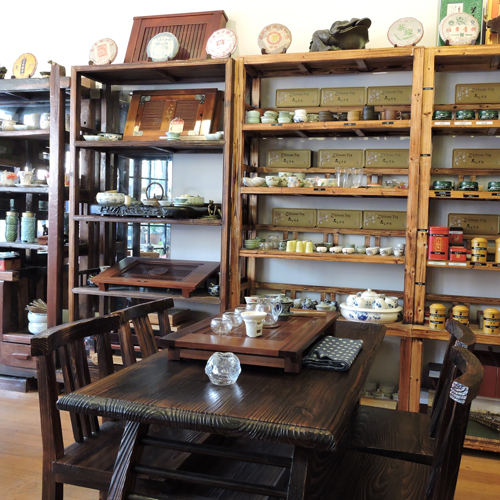 It is elegantly appointed, though crowded with teaware, and offers a range of unusual teas, including 60-year-old pu’er and Tibetan brews. This smart fitout carves out a nice corner of the market offering much more than the standard blends for which the brand is renowned. Take your time over a pot of $7 single origin tea, from recently harvested greens to aged pu’ers. The only drawback is it’s opposite a fishmonger, so protect your brew’s aroma. 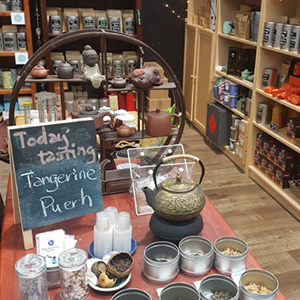 A step away from busy Toorak Road and you’re in another world, one where you can sit with Terry to taste what he’s drinking or try your hand with a DIY gongfu cha set to brew your chosen tea to your taste (don’t worry if you don’t know how, the friendly staff will teach you). T Hub also offers a small selection of vegetarian dishes and snacks. Perhaps the only Indian joint in Melbourne that focuses on tea first, food second, Tiwari Tea House offers a menu of leafy India favourites such as Darjeeling and Assam, alongside blends from that part of the world, from spicy chai masala to saffron-blended tea. For a tea-first venue, the snacks are surprisingly excellent. Venues where tea is not the main focus but they’ve put some effort into offering decent loose leaf tea. They love their coffee here but they are also adept at preparing specialty tea. A specialty coffee bar that serves Australian Tea Masters tea prepared drip style. If you order an oolong or pu’er, let them know to keep the leaves for further infusions. Matcha-infused sweets and lattes are their specialty, with matcha ice cream intensity ranging from 1 (mild) to 8 (intense), but you can also get it in a bowl straight whisked. Warning: they do it properly at a strength that allows you to see through time. The French sweets are the highlight here, but they are paired with Mariage Frères tea, a Parisian institution. A tastefully decorated tearoom with a high tea offering to match, serving Impala & Peacock tea. It’s harder to ‘pop in for tea’ than it used to be as the service is more formal. This St Kilda eatery serves all manner of matcha-laced drinks and food. I advise against the ‘matcha tea’, however, as it is not a bowl of whisked powder but a (bad) infusion of it. Come for the dumplings but make sure you have some tea to accompany them. While coffee is its lifeblood, Sensory Lab has a soft spot for fine tea and it brews its select menu well. It’s big in Japan… this dessert bar has plenty of matcha-laden and houjicha-flavoured desserts as well as tea lattes. 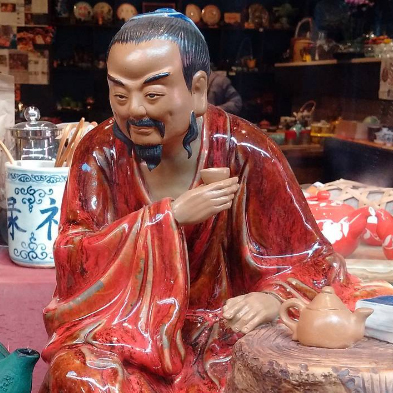 Where to buy leaf tea in Melbourne in addition to the teahouses named above. I wanted to add a section to highlight some of the wonderful places that Melbourne has lost over the years I’ve visited its tea scene, and also as a way to acknowledge to people dropping in here that I do know about these places but they have sadly closed (in case you didn’t know!). Rest in peace: Cha-T (Box Hill and CBD), Cuppa Cha (Camberwell; Cuppa Cha online still going), Porcelain Tea Parlour (Carlton), Storm in a Teacup (Collingwood), Tea Connoisseur (Armadale) and Travelling Samovar (Carlton North; private tastings and Airbnb experiences still available). Have I missed naming your favourite venue? Maybe I haven’t been yet! Nominate it here. All photos by Adeline Teoh.